Which One Works Better – Snoring Mouthpiece or Chinstrap? There’s a debate among snorers who are unable to decide whether to choose a snoring mouthguard or chinstrap. Both products have received a bit of attention in recent years but are both equally effective at treating snoring? 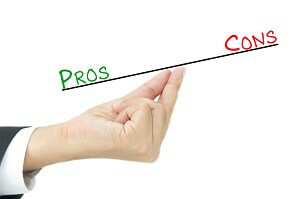 We are going to examine each and help you decide which product may be best for your particular situation. Let’s begin this discussion by investigating exactly what each solution is and the pros and cons of each product. The snoring chinstrap is elastic in nature and is usually made from a neoprene material. It works by holding the jaw closed and in place. Most chinstraps have a velcro fastening system that allows for easy installation and removal. This type of chinstrap wraps around the chin and fastens at the crown. Others are created by using a one piece loop design that does not require fastening, which can make installation of the chinstrap a challenge in some cases. Some are tailored to closely fit the shape of the head while others are simply a round band that stretches around the head and is held in place by force. Snoring chinstraps vary widely in price from as little as $10 up to $100 with the average cost being somewhere around $25. One product, called “My Snore Solution” retails for over an incredible $120! When choosing a chinstrap, keep all of these mentioned characteristics in mind. Phillips Respironics makes a fairly good chinstrap that fastens together and is tailored to closely fit the shape of the head. This particular chinstrap retails for around $30. Several other manufacturers offer their own variation of the chinstrap. As for pros, the chinstrap can be an inexpensive and effective snoring solution for open mouth snorers. This type of snorer will only snore with their mouth open. Breathing through the mouth can cause the tonsils and uvula to rub against each other which crates snoring sounds. While this type of snoring does sometimes occur, it’s actually not very common. The snoring chinstrap does have a few disadvantages. First, it doesn’t directly address the most common source of snoring, which originates in the airway. Keeping the mouth closed may lessen the sound of snoring, but if snoring is originating from the airway, it will still exist. In addition, there is very little medical research proving the effectiveness of the snoring chin strap. While some online reviewers claim to have experienced good results with a chinstrap, it’s effectiveness if difficult to prove without medical science backing it. Snoring mouthpieces, known in the medical industry as Mandibular Advancement Splints or Devices have been used to treat snoring and sleep apnea since the early 1980’s when it was discovered that by moving the jaw forward and holding it in place, snoring and in some cases sleep apnea will cease. The snoring mouthpiece is a very effective means of controlling snoring in those who snore due to a narrowed or partially obstructed airway. By holding the jaw forward, the muscles surrounding the jaw and around the airway are stretched, resulting in the opening of the airway. With these muscles stretched tight, tissues surround the airway are unable to collide with each other and the sound of snoring ceases. There are several companies who manufacture snoring mouthpieces. Some of the more simple mouthpieces cost as little as $40 while those custom made in a laboratory and prescribed by a dentist can cost several thousand dollars. The more expensive professionally fitted mouthpiece is typically reserved for those with mild to moderate sleep apnea and is used under the supervision of a physician. For the purpose of simple snoring, mouthpieces ordered online typically cost less than $100. When choosing a mouthpiece, there are a few items to consider. First, if you are a mouth breather, air holes are necessary. Even those who are not mouth breathers can benefit from having a mouthpiece with large air holes. Another consideration should be whether or not the mouthpiece is adjustable. Some allow you to make adjustments while others only allow one chance to create a good impression of your teeth. Mouthpieces used for the purpose of snoring are usually made from a thermoplastic material which becomes pliable when heated in water that is typically at boiling temperature or lower. Once heated, it’s placed into the mouth and the jaw is moved out while biting down simultaneously. This position is held for up to a minute before removing and placing into cold water to permanently retain the mouthpieces shape. A good quality mouthpiece that is properly fitted will create a detailed impression of your teeth once removed. As for pros, the snoring mouthpiece has been extensively studied and proven to work in over 75% of those with a snoring problem or sleep apnea. The reason why mouthpieces are so effective is that they tackle the problem where it originates which is typically within the airway. As for cons of using a mouthpiece, they can take several days to become accustomed to wearing one which may result in discontinued use prior to achieving the desired result of stopping snoring. Which Anti-Snoring Product Works Better? While there are advantages and disadvantages of both the snoring chinstrap and mouthpiece, is one better than the other? The answer greatly depends on the source of your snoring. 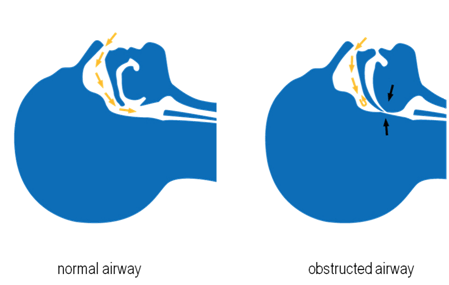 If snoring originates from the airway, a mouthpiece is always going to be the better choice. If your snoring is the result of your mouth hanging open, a chinstrap can be an effective solution. If you are unsure of where your snoring is coming from, try this test. Open your mouth and recreate the sound of snoring. Now, close your mouth and continue with the sound. If snoring stops or becomes difficult with your mouth closed, you may be an open mouth snorer and a chinstrap may be effective. To see if your snoring originates from the airway, stick out your tongue and hold it between your teeth while creating the sound of snoring. Now, release your tongue and continue making the sound of snoring. Was it more difficult to create the snoring sound with your tongue out? If so, there is a good chance that your snoring originates from your airway. While it’s difficult to say which anti-snoring product works better, in most cases the snoring mouthpiece is going to be more effective than a chinstrap simply because it addresses the most common area where snoring originates. While both the chinstrap and mouthpiece can help your snoring, there a few things to consider when it comes to solving a snoring problem. The first thing to consider is other issues that may be causing your snoring. In some cases, alcohol or sedative use will relax the airway and cause tissue to vibrate excessively. For this reason, you should first consider limiting alcohol use 4 hours prior to bed. Another consideration may be your weight. If you are carrying around extra weight, especially in the neck area, you may want to consider losing a few pounds as this can help a snoring problem tremendously as excessive weigh restricts airflow. Losing as little as 10-20 lbs can have an impact on your snoring. Finally, it’s possible that you are a positional snorer, meaning that you only snore while laying on your back. Before investing any money in a chinstrap or mouthpiece, try sleeping on your side and see if this helps with snoring. It’s estimated that nearly half of all snorers are positional snorers so changing your sleep position may be all that it takes. If you are experiencing difficulty staying on your side, try placing several pillows behind your back to prevent rollover throughout the night. 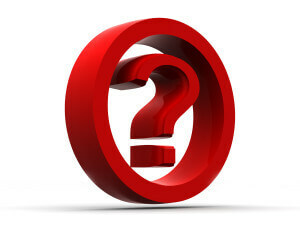 Next post: Are Diabetes and Snoring Connected? Previous post: Foods that Cause Snoring – Is Your Snoring Linked to What you Eat?